Difficult logical game for sharp. The objective of the game is ?laying? of tracks from special crates of a field in four corners of a game field up to a special crate of a field in central area of a field. 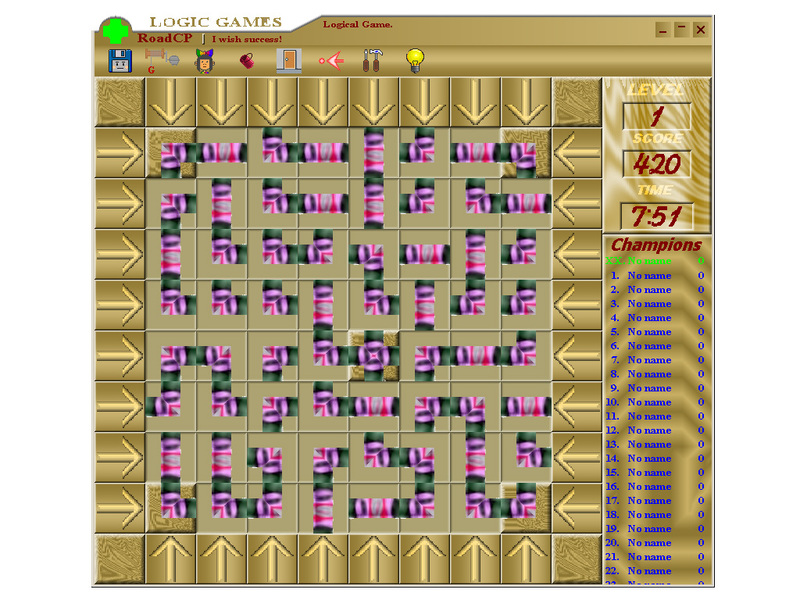 The laying of tracks is executed by offset of bars of game blocks before their connection. If all special crates of a field appear joint, the round is considered completed. Each course reduces your score. ...... among themselves by ?tracks? from blocks. On perimeter of a field the buttons settle down, pressing on which it is possible to shift the whole bar of blocks. Executing shifts of blocks, the connections of blocks in ?tracks? achieve. Two blocks are considered joint, if they concern each other by hanging indents. By such ?tracks? it is necessary to connect all special crates on a field. The central special crate of a field can move on a field together with game blocks. The special crate can occupy any crate of a field. Main, that it was connected to all angular special crates. The game can be completed, if the score has appeared negative or the time, given on a round has expired. Qweas is providing links to RoadCP 3.00 as a courtesy, and makes no representations regarding RoadCP or any other applications or any information related thereto. Any questions, complaints or claims regarding this application RoadCP 3.00 must be directed to the appropriate software vendor. You may click the publisher link of RoadCP on the top of this page to get more details about the vendor.